What follows is a group of children who have the unfortunate circumstance of having parents who are too personally invested in the social currency of their children being seen as gifted and capturing a coveted seat in a new charter school. There's plenty of poor adult behaviour (and some of their children get in on that as well) and not just some backhanded comments or social slights. These people were pretty much all in to the point of piling up their career integrity, ethics, general decency and longtime friendships and burn them to cinders on the altar of their own children's advancement over others. Alternating between funny and appalling, this remained grounded because none was so inconceivable that people would go so far. It culminates in a cringe-worthy public spectacle which serves to bring all the parents back to sanity and refocuses them on the important things they've lost sight of along the way. Not to give anything big away, I have to admit that I found two children particularly well done, Emma Z and Atik. I think this will be a good one to take along on vacay this year. It's exceedingly readable, timely and also has a satisfying resolution. 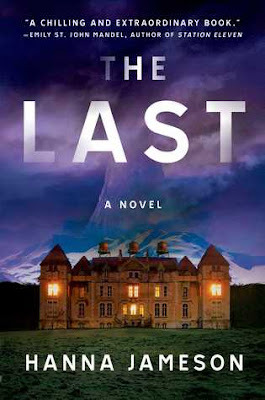 This is my first by Holsinger and I'd read another. Many thanks to the publisher for the Advanced Reader's Copy. This deliciously sharp novel captures the relentless ambitions and fears that animate parents and their children in modern America, exploring the conflicts between achievement and potential, talent and privilege. 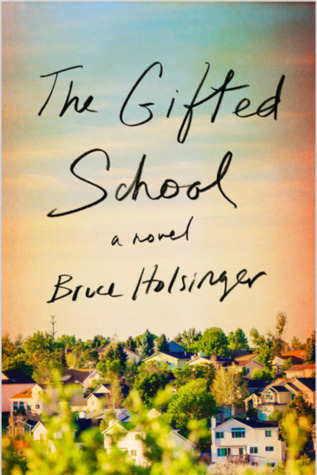 Set in the fictional town of Crystal, Colorado, The Gifted School is a keenly entertaining novel that observes the drama within a community of friends and parents as good intentions and high ambitions collide in a pile-up with long-held secrets and lies. Seen through the lens of four families who've been a part of one another's lives since their kids were born over a decade ago, the story reveals not only the lengths that some adults are willing to go to get ahead, but the effect on the group's children, sibling relationships, marriages, and careers, as simmering resentments come to a boil and long-buried, explosive secrets surface and detonate. It's a humorous, keenly observed, timely take on ambitious parents, willful kids, and the pursuit of prestige, no matter the cost.